Kharagpur is known world over for two landmarks. One, the longest railway platform, and the other, the Indian Institute of Technology, more commonly known as IIT. Situated about 120 km west of Kolkata, Kharagpur is well connected to Kolkata by Road and Rail transport. Kharagpur can be reached in about 2 hours by train or 3 hours by car from Howrah railway station of Kolkata. 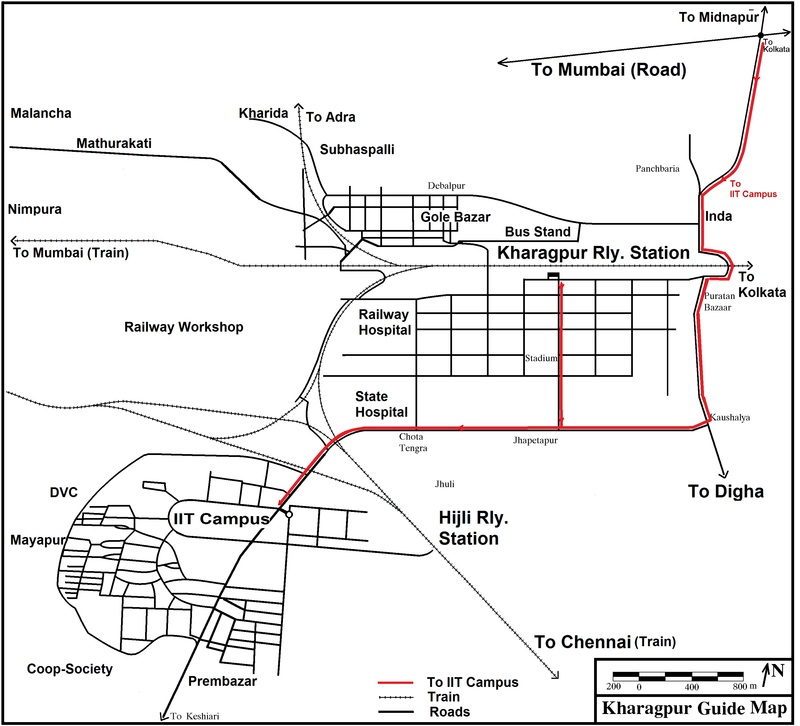 Kharagpur is also connected by direct train services to most major cities of the country. 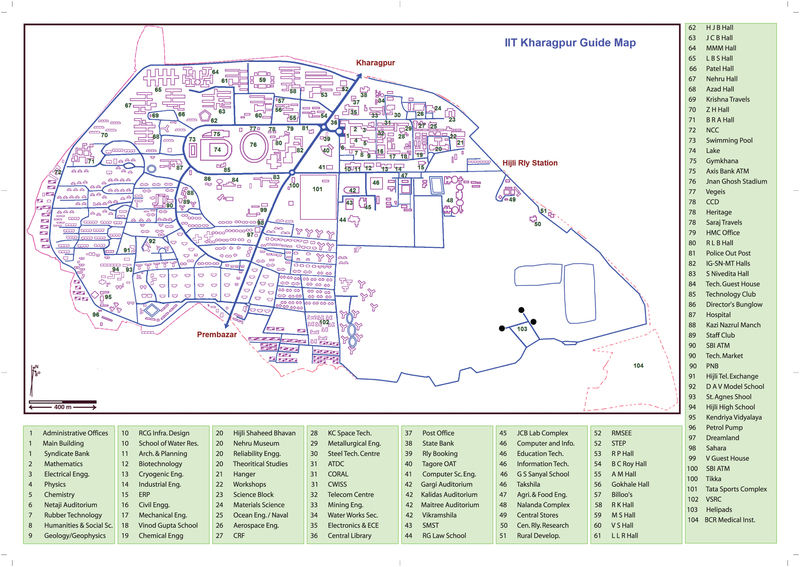 The Institute is about 10 minutes drive (5 km) from the Kharagpur railway station. Private taxi, autorickshaw or cycle-rickshaw can be hired to reach the Institute. The nearest airport to Kharagpur is the Netaji Subhas Chandra Bose International Airport (CCU), Kolkata. You can get a flight to Kolkata airport on regular basis. It is widely connected to almost all the major destinations of the country. Book a cab to reach Kharagpur via road. The distance is almost 140KM. The travel time is approximately 2.30 hrs. It costs roughly Rs. 3000/- (depending on the taxi type). Find the attached Campus map. All the important locations like Students Hostels, Departments/Schools/Centres, Guest Houses, Student Activity Centers, Banks & ATMs, Restaurants & Food Centres etc. are indexed in the map.